The average price in this community is 6.94 € / m2 in April 2017. In both provinces the price increases. Five municipalities of the fifteen analyzed increase the price. 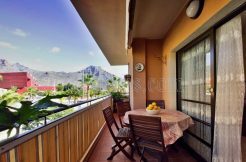 In the Canary Islands, the price of housing for rent has increased by 1.2% in April and stands at € 6.94 / m2 per month, according to the real estate index fotocasa. This figure is -13.6% below the national average, which in April is 8.04 € / m2 per month. “The increase in the rental price is widespread throughout the country, but the strong increases we are seeing are mainly due to the increases in Catalonia and Madrid, which according to our report” X-ray of the housing market 2016-2017 “, concentrate 43% of all activity related to the demand of this market. They are followed by communities with great tourist attraction such as the Balearic Islands, the Canary Islands and the Valencian Community “, explains Beatriz Toribio, responsible for studies at fotocasa. Thus, in the ranking of CC.AA with the highest rental prices in Spain, the Canary Islands occupies the seventh position. It is preceded by Catalonia, Madrid, the Basque Country, Navarre and Cantabria, where the average price is € 11.96 / m2 for Catalonia and € 7.06 / m2 per month for Cantabria. Canary Islands reached its historic high in the price of housing for rent in December 2006 with a value of € 7.64 / m2. Since then has accumulated a decline of -9.1%. The two provinces increase the price in April. The most pronounced monthly rise is Santa Cruz de Tenerife (1.5%) and Las Palmas (0.9%). As for year-on-year variations, the price is also increasing in both provinces by 15.1% in Santa Cruz de Tenerife and 9.2% in Las Palmas. 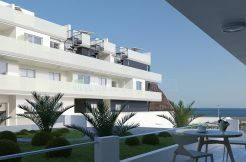 As for prices, Las Palmas is the province with the highest rental price, in particular € 7,08 / m2 per month and Santa Cruz de Tenerife in April at € 6.82 / m2 per month . The average price of housing for rent increases in April in five of the fifteen municipalities analyzed by fotocasa. The price increases in these municipalities are between 4.1% in Adeje (Santa Cruz de Tenerife) and 0.2% in Santa Cruz de Tenerife Capital. In relation to prices, San Bartolomé de Tirajana is the municipality with the highest rental price of the Canary Islands, with an average of 11.82 € / m2 per month. They follow Adeje (10.64 € / m2 per month) and Arona (10.08 € / m2 per month).